Meatout, initiated by the Farm Animal Rights Movement (FARM), has been marked on the first day of spring since 1985 all over the world, symbolising a rebirth and renewal of nature, to help consumers develop a healthier and ethically and ecologically more acceptable diet based on vegetables, fruit, legumes and grains. 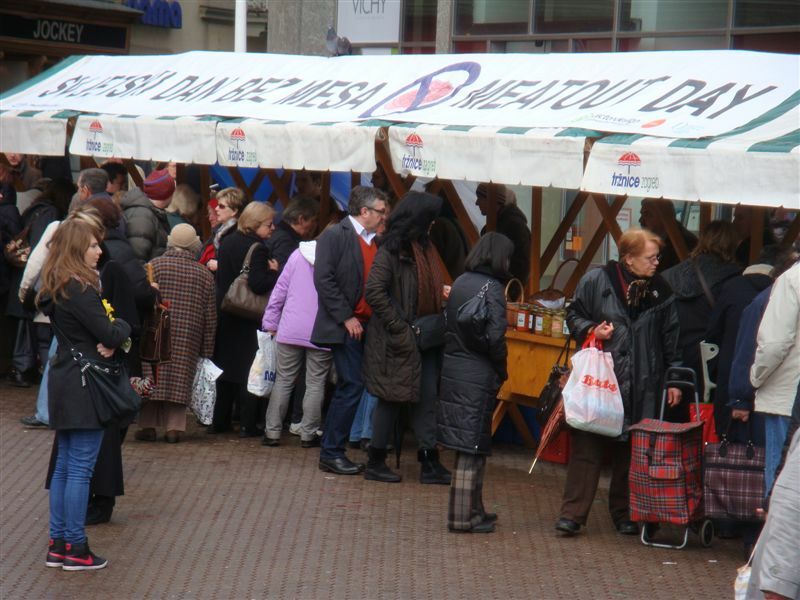 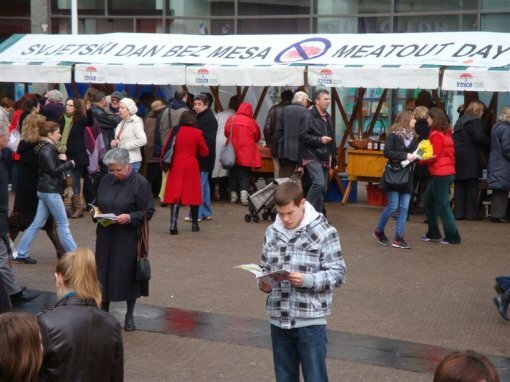 With the purpose of introducing people to numerous advantages of a plant based diet and a wide variety of healthy, meatless foods and products, Animal Friends is organizing a veggie health food fair - VeggieFair on Saturday, March 19, 2011, starting from 10 A.M. on Trg bana Jelacica. 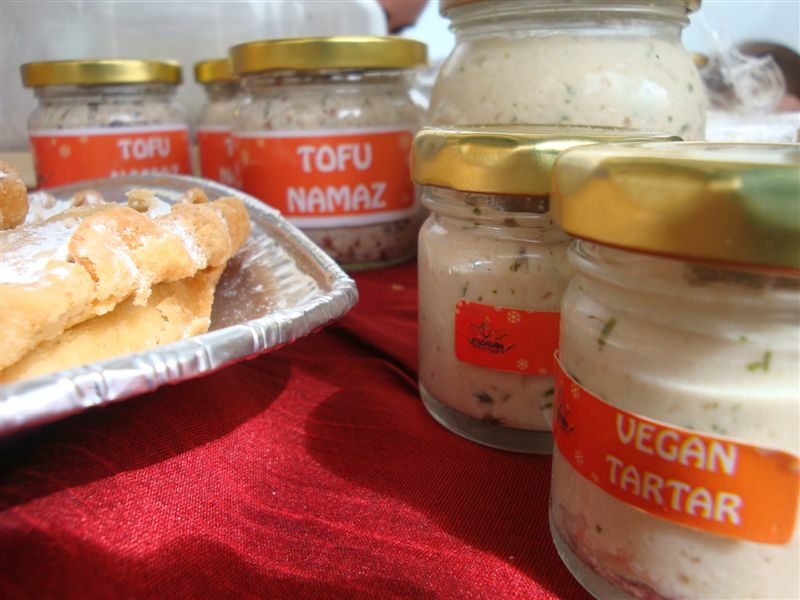 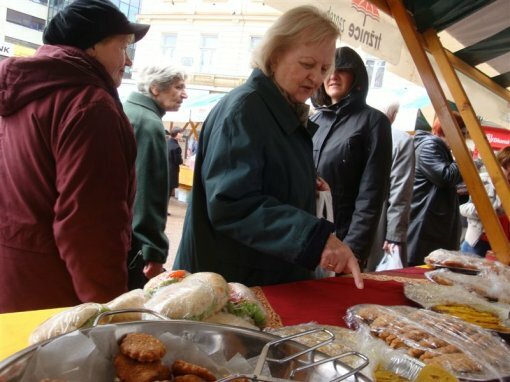 Ten exhibitors with a variety of fruit, vegetable and legumes products will be present at the VeggieFair, and there will be tastings of veggie products like seitan (wheat meat), tofu (soy cheese), salamis, sausages, burgers, desserts and many other tasty meatless foods. 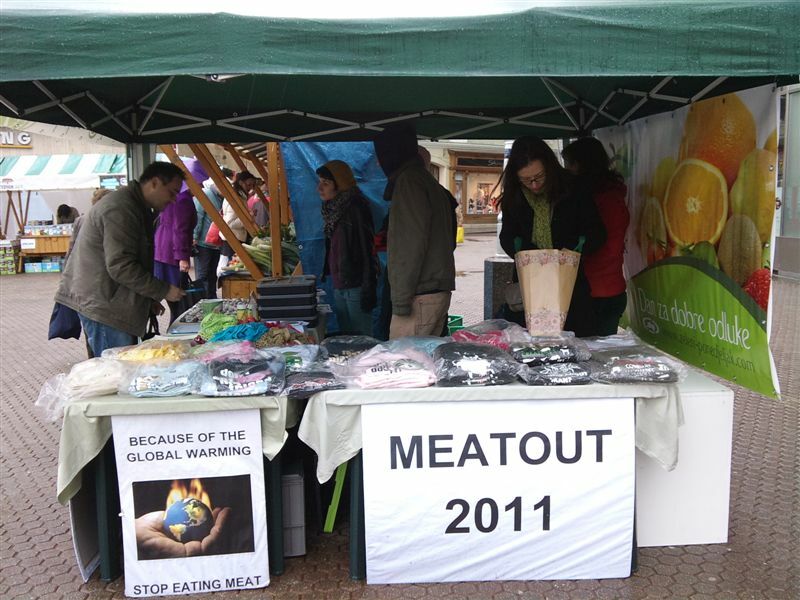 Also, on the occasion of Meatout, Animal Friends has prepared an on-line edition of the book The Livewire Guide to Going, Being and Staying Veggie! by Juliet Gellatley, which has made this interesting book free and accessible to everyone at the web site www.biti-vege.com. 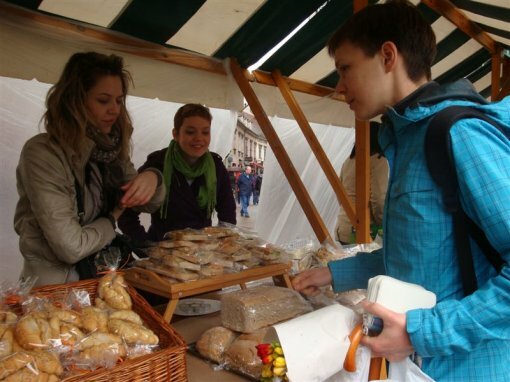 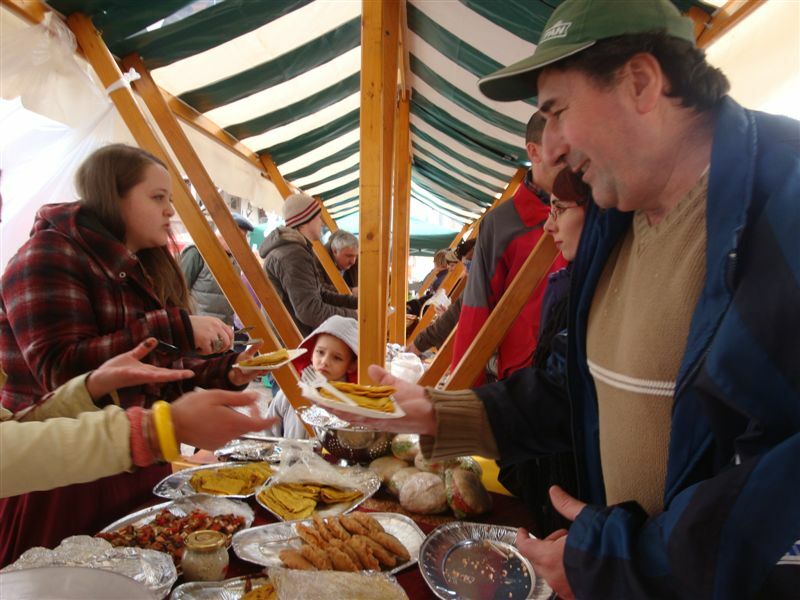 VeggieFair is held on the occasion of Meatout, as part of the educational Green Monday campaign which Animal Friends is implemented in co-operation with the City of Zagreb. 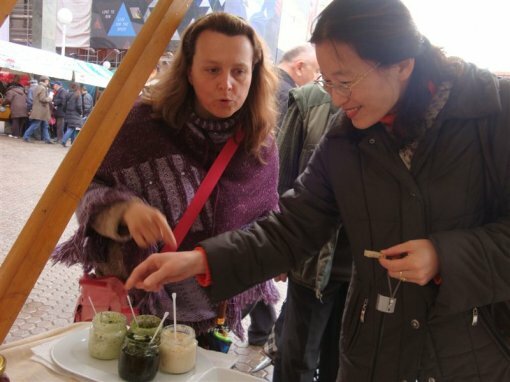 The aim of the Green Monday campaign is to increase the people's awareness about the influence of diet on health and help them improve their health and preserve the environment by adopting a plant based diet at least one day a week. 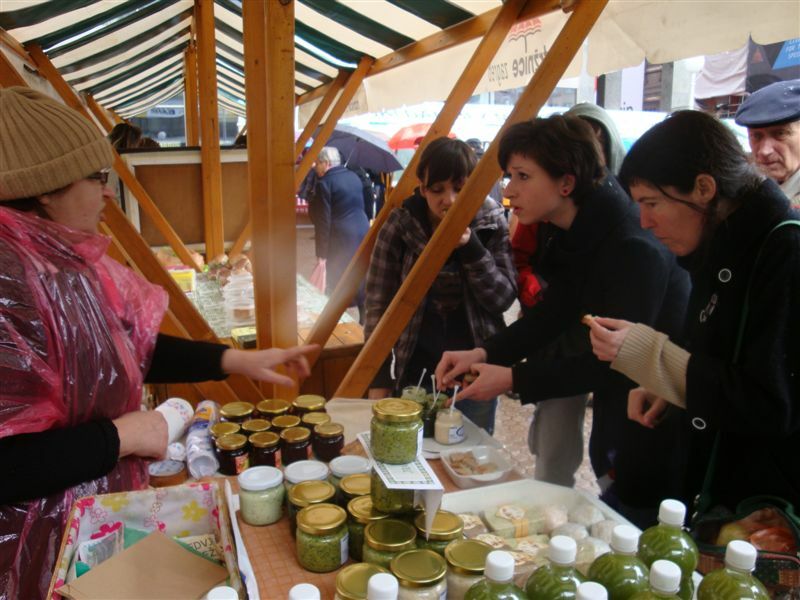 With the Green Monday campaign the City of Zagreb has become the first Croatian city which has joined this worldwide campaign. 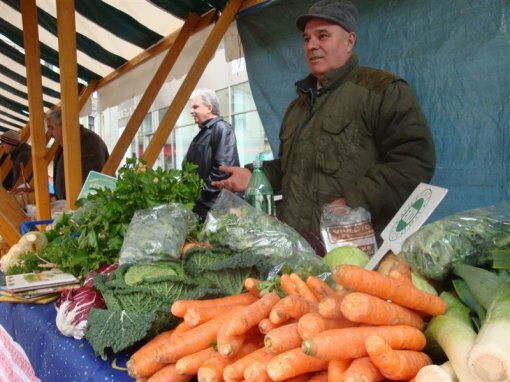 According to the World Health Organization, 90 per cent of Croatian population consumes less fruits and vegetables than the recommended amount. Every other citizen dies of cardiovascular diseases, which can be largely prevented by a change of diet. 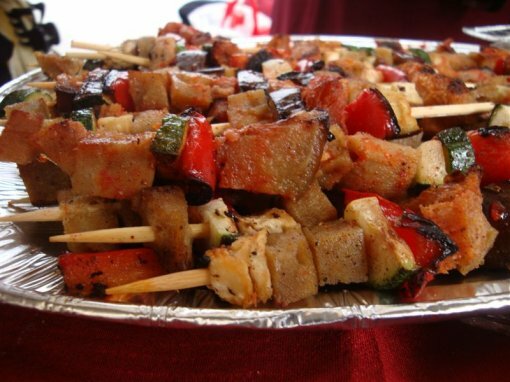 Meat increases the cholesterole level, as well as the risk of some forms of cancer, diabetes and obesity. 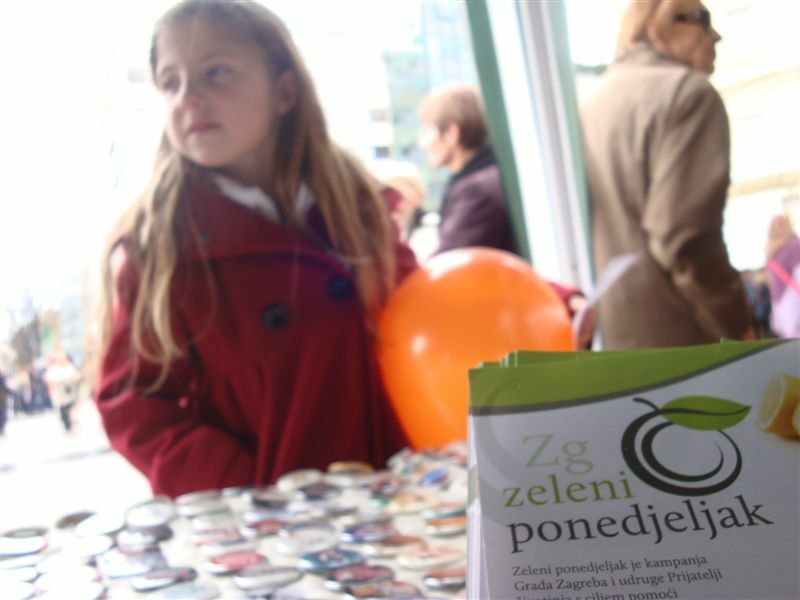 In the Green Monday campaign, people are provided with information necessary to include healthy changes in their daily diet, and on the web site www.zeleni-ponedjeljak.com they can subscribe to receive interesting "green" recipes on a weekly basis. The following health food producers and firms will exhibit on VeggieFair: Tofushop, Bioherba, catering Prasadam, Repro eko, OPG Vladimir Sinko, Encian, Eco-Natura, restaurant Vegehop, Annapurna, and OPG Marijan Radanec.